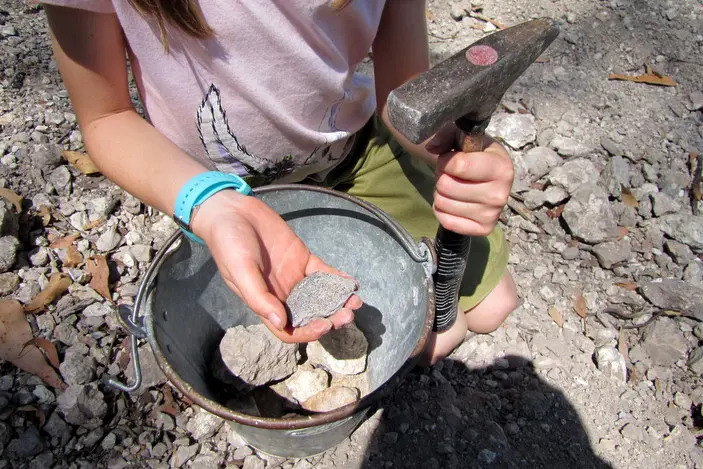 Prospecting for gold and fossicking for gems (or anything your child thinks is treasure!) is a fun and educational outdoor activity, which could well become a regular pursuit. 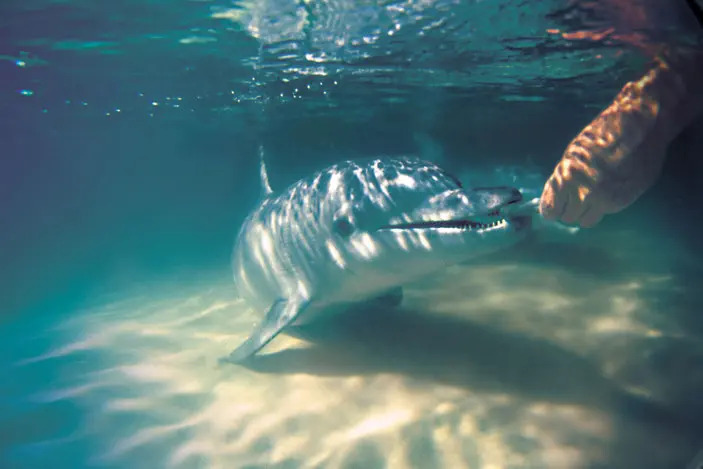 We’ve gathered a list of places in South East Queensland where you can fossick for real, as well as places that are commercially set up so that every Brisbane Kid will have a lucky find. These signposted areas have been established by the government to promote local tourism. Other than a fossicking licence, no special permissions or fees apply. It is worth noting that none of these sites have water or toilet facilities. In 1867, a discovery of gold in a gully near the Mary River began the first major gold rush in Queensland, and founded the mining town of Gympie. 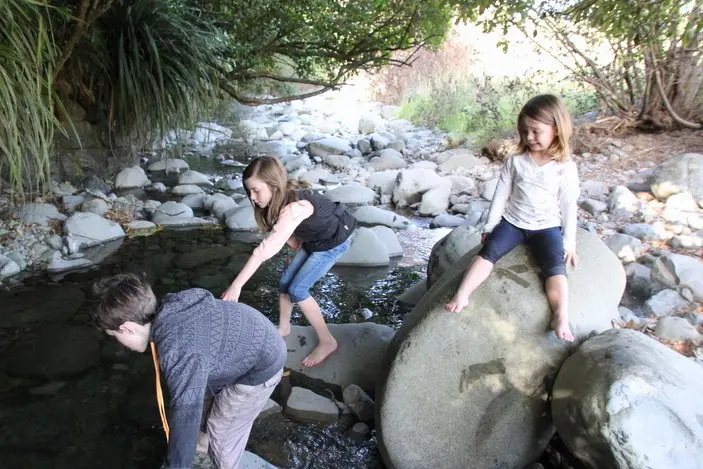 Today you and your kids can try your luck in a gold-bearing gully in the town. Click here for information about access to the site, including a map. Camping is not allowed, but there are plenty of accommodation options in Gympie. The most likely places to find gold are along the banks and bed of the creek, in particular on the inside of the creek bends. Panning is the simplest recovery method. While in Gympie, you can also take your kids to the informative Gympie Gold Mining and Historical Museum. The gold fossicking area of Thanes Creek is popular with tourists and fossickers as it is easily accessed from the rural centre of Warwick. Click here for more information about access to the fossicking area, including a map. Camping is not allowed, but there are plenty of accommodation options in nearby Warwick. Here you can find sandstone, mudstone, conglomerate, slate, quartz, jasper, andesite, limestone and alluvial gold in the gullies and creeks. The area is often dry, but pools of water may remain after good rains. Panning is the simplest recovery method. Sections of the Talgai State Forest (approximately 35km northwest of Warwick) have been released as general permission areas for gold fossicking. Click here for information about access, including a map. No camping is allowed, but there are plenty of accommodation options in nearby Warwick. Colours of gold can be obtained from alluvial sediments within stream channels, from gravel layers in low banks or possibly from crevices in rock bars. Panning is the simplest recovery method. 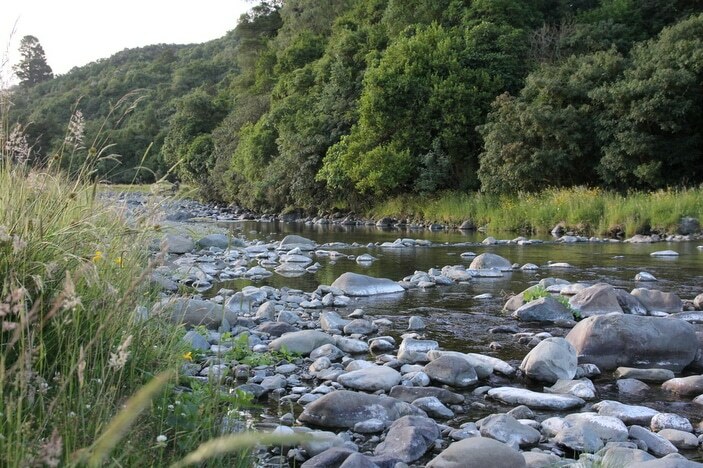 Sections of the Durikai State Forest have been released as general permission areas for gold fossicking. Camping is not allowed but plenty of accommodation options are available in nearby Warwick. Click here for information on access, including a map. Colours of gold can be obtained from the alluvial sediments within stream channels and from gravel layers in low banks or possibly from crevices in rock bars. Panning is the simplest recovery method. Gem-quality topaz occurs in a section of the Passchendaele State Forest, near the small township of Amiens, about 13km northwest of Stanthorpe. Click here for information about access, including a map. Camping is not allowed but there are plenty of accommodation options in nearby Stanthorpe. The rocks in the area are mainly granitic. Topaz and other gemstones and minerals can be found in Swipers Gully. Water is not usually available in the area so supplies need to be brought in if wet sieving methods are to be employed. Petrified wood occurs in abundance in the Chinchilla area and is much sought-after by enthusiasts for its quality and colours. Three landowners in the Chinchilla area have given general permission for fossicking at specific sites on their properties. Good specimens can be readily found beside roads in the area, but collecting is only permitted from the ground surface in road reserves and digging is not allowed. Click here for information about access, including a map. Camping is not permitted but there are a number of accommodation options in the town of Chinchilla. Before taking your kids fossicking, we recommend you read the Queensland Government’s safety checklist. They also provide a list of the tools you may need to get started. There is a dedicated store in Brisbane — Miners Den — for all things related to fossicking. If you don’t want to travel so far, or you want to be sure of a lucky find, there are a number of places near Brisbane that have set up areas for kids to fossick for treasure. Opals Down Under at Glenview (near Aussie World) has an area set up for children to treasure hunt and learn more about the special stones they find. Thunderbird Park allows you to mine for thunder eggs — a rock with hidden beauty inside when cut open. Paradise Country has an area set up for gold panning, as well as an opal mining attraction. It’s a great starting point for little geologists. 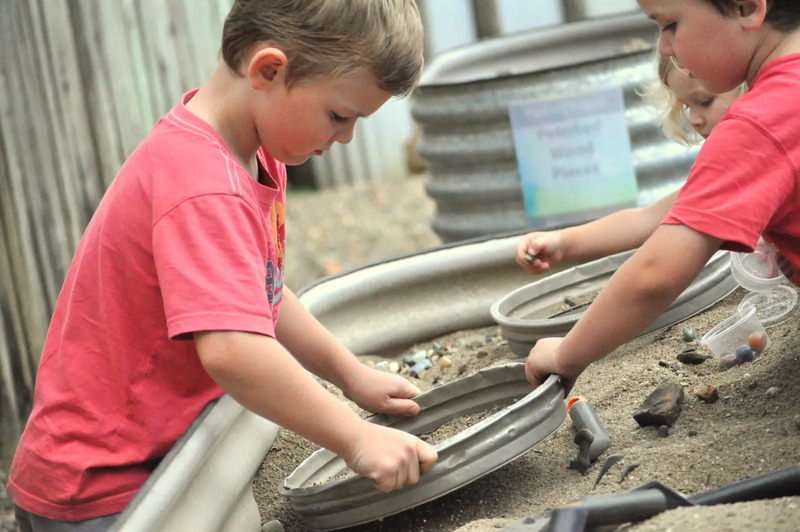 The Caboolture Historical Village also offers a gem sieving activity for school children organised via the Caboolture Gem Club. 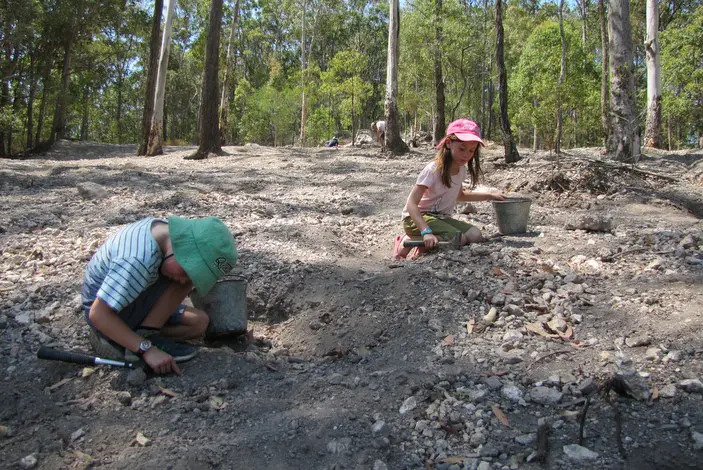 If you think fossicking is something that could become a regular family pursuit, consider joining one of Brisbane’s lapidary associations. 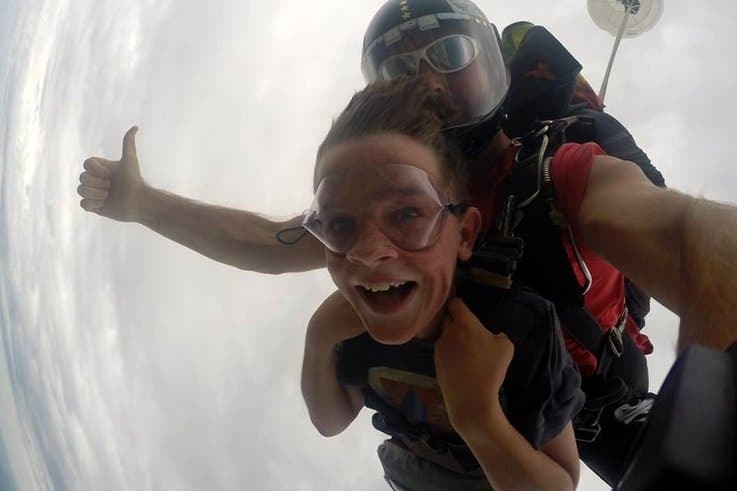 You can meet with like-minded people to discuss your hobby, find out about events related to your interest and participate in group fossicking excursions. 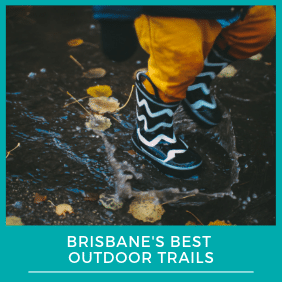 Check out The Creek Series for other great creeks to explore in the Brisbane area, and our great Day Trips for more fun activities for Brisbane Kids.